Spoil that special someone in your life! 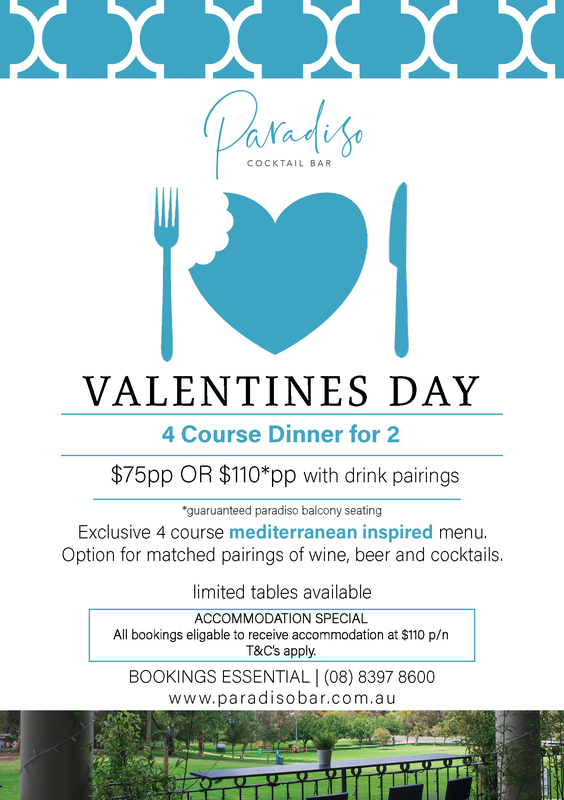 On Thursday, 14th February 2019 we will be holding a romantic Mediterranean inspired 4 course Valentines Day dinner in our NEW Paradiso Cocktail Bar to wine and dine your Valentine! This romantic four course dinner includes a starter, your choice of entrée, a choice of main and a chocolate indulgence dessert. Drink pairings include wine, beer and cocktails. All bookings are eligible to receive accommodation at $110 p/n. Proof of restaurant reservation is required at the time of booking. 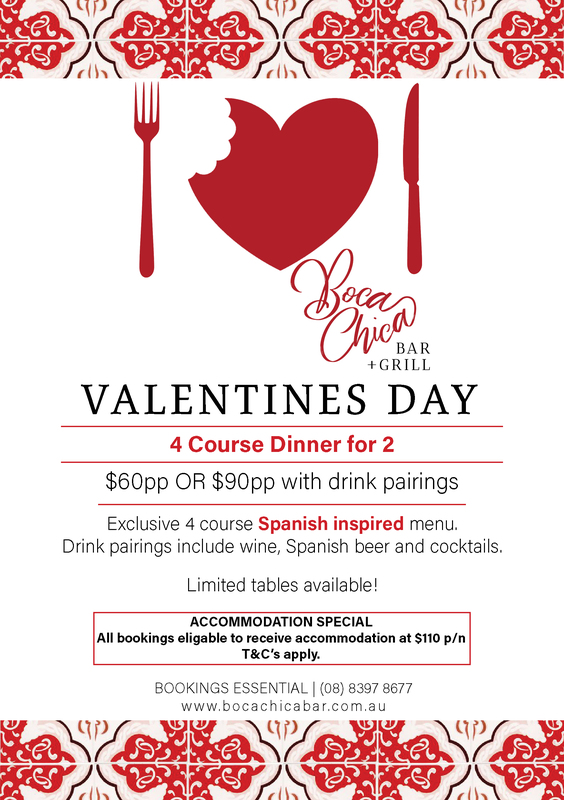 Valentines Days at Boca Chica! Hola! 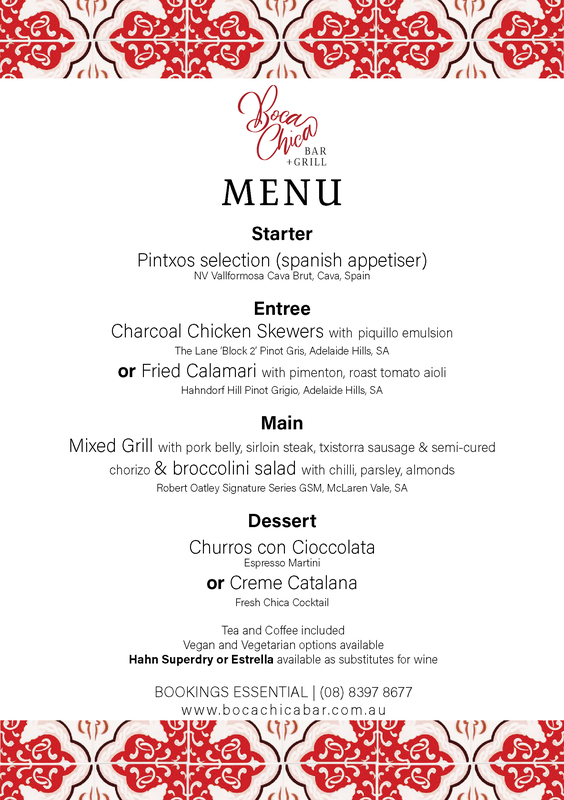 On Thursday, 14th February 2019 grab your señorita or señor and indulge in a romantic candlelit Spanish inspired date night sharing a 4 Course Menu. 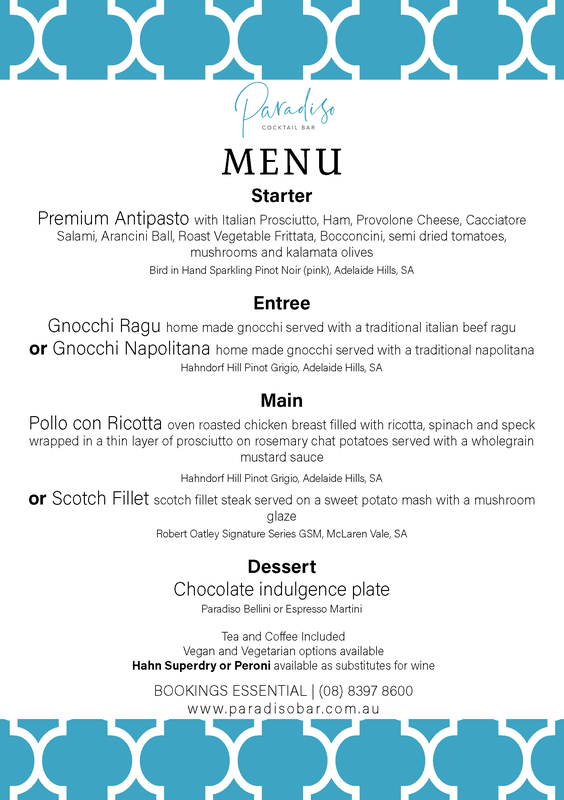 Romantic four course dinner with starters, your choice of entrée, main and your choice of dessert. Drink pairings include wine, spanish beer and cocktails. Spoil that special someone in your life! 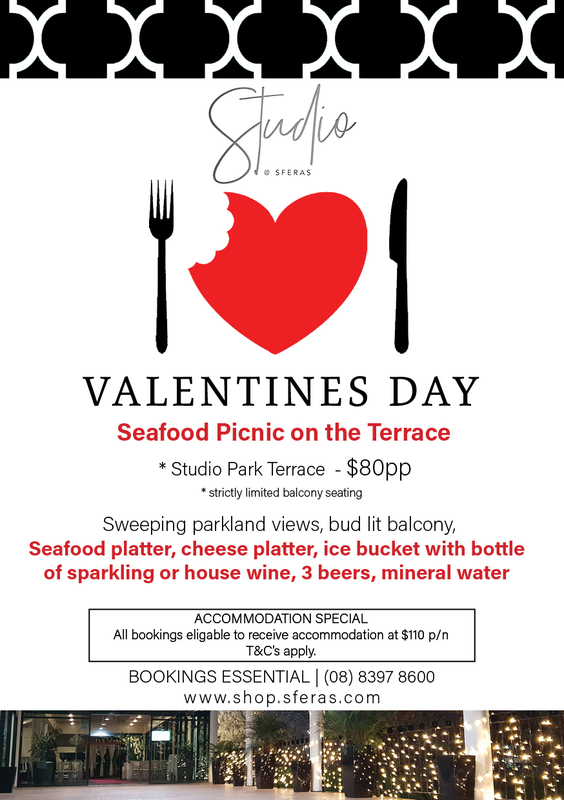 On Thursday, 14th February 2019 we will be holding a romantic Seafood Picnic on the Terracee Valentines Day dinner on our Studio Park Terrace for you to dine your Valentine! Enjoy romantic bud lighting and beautiful views as the afternoon sun slowly fades into the evening sunset across the beautiful Civic park. This romantic dinner includes a seafood platter, cheese platter and an ice bucker of sparkling or house wine, 3 bbers and mineral water.